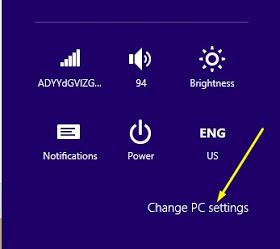 Hello to all reading this post, Before we go into the main deal of the day, you all can attest to it that customization access of Windows 8 operating system is to some level or point. But we are out as it always be, to let you know some of these features you can customize as a user and also provide a simplified guide on how to go about there customization. 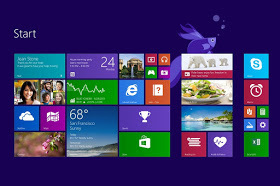 Today guide, will be on how to change the default background picture of your Windows 8 operating system. As it stands, not all would like to have the blue color default picture of windows 8 as a background on the start screen or desktop background of any PC. So, this guide will show you how to change the default image to any picture you like. Read on to see how. The Screenshot of Windows 8 Desktop background. In the option select Personalize. For theory, you can as well be able to define application that will show their status on the lock screen of your PC. But the app has to support this before it can be accessible from your personalize settings. Share to friends if you found this post interesting. Use the comment box for any question you have.